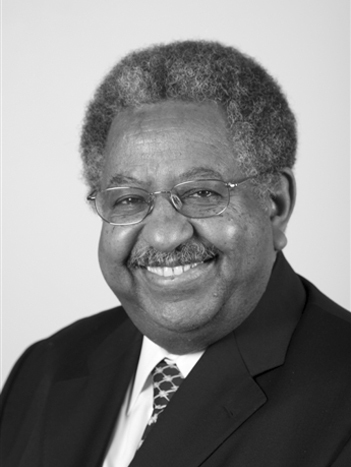 Haile T. Debas is professor emeritus of the University of California, San Francisco (UCSF), and director emeritus of the University of California Global Health Institute. He is recognized internationally for his contributions to academic medicine and is widely consulted on issues associated with global health. Dr. Debas was the founding executive director of the University of California Global Health Institute (2009-2016). He previously served as dean of the UCSF School of Medicine (1993-2003), vice chancellor for medical addairs, and chancellor. A gastrointestinal surgeon by training, Dr. Debas held the title of Maurice Galante Distinguished Professor of Surgery and chaired the UCSF Department of Surgery from 1987 to 2003. Under Dr. Debas' stewardship, the UCSF School of Medicine became a national model for medical education. Earlier in his career he was a member of the faculties of surgery at the University of British Columbia, UCLA, and the University of Washington. He has held leadership positions with numerous membership organizations and professional associations, including serving as president of the American Surgical Association and chair of the Council of Deans of the AAMC. He has been a member of the Institute of Medicine (as of July 1, 2015, the National Academy of Medicine) since 1990 and is the current chair of the Membership Committee. He is also a fellow of the American Academy of Arts and Sciences. In 2012 the University of California, San Francisco, awarded him the UCSF Medal, the university's highest honor, for his leadership and academic contributions. Dr. Debas serves on the United Nations’ Commission on HIV/AIDS and Governance in Africa and on the Committee on Science, Engineering, and Public Policy of the National Academy of Sciences. A native of Eritrea, he received his M.D. from McGill University and completed his surgical training at the University of British Columbia.